A former director for QUEEN has told Page Six that a sequel to the band's biopic "Bohemian Rhapsody" is "being heavily discussed." Rudi Dolezal — who became close with QUEEN singer Freddie Mercury during his life — also said that he is "sure" the group's manager Jim Beach "plans a sequel that starts with Live Aid." 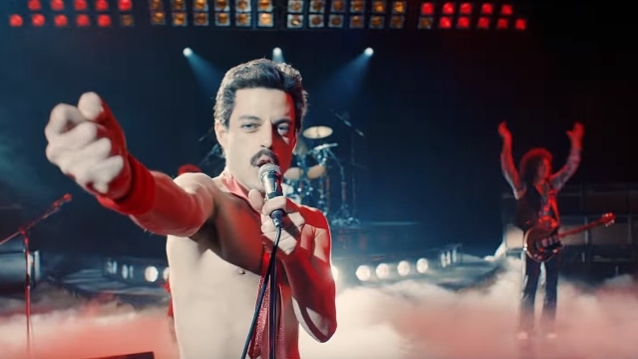 QUEEN's six-song performance at Live Aid serves as the triumphant finale for "Bohemian Rhapsody", starring Rami Malek as Mercury. The movie has made more than $870 million worldwide and won four Oscars last month. QUEEN guitarist Brian May has hinted that a "Bohemian Rhapsody" sequel could be in the works. He said in a December interview: "I think Live Aid is a good point to leave it. Who knows, there might be a sequel." At the moment, there are two other QUEEN-related films on the way: "Freddie Mercury: In His Own Words", a collection of Dolezal's interviews with the singer; and "The Show Must Go On: The Queen + Adam Lambert Story", which will air in April on ABC. Dolezal is also working on a book titled "My Friend, Freddie". Dolezal worked with QUEEN on around 30 videos, including "These Are the Days of Our Lives", which was filmed in 1991, the same year Mercury died.